Take-Out? Yep, from the Kitchen to the Table! – Butter, Baking, and Bacon! Take-Out? Yep, from the Kitchen to the Table! Americans spend SO much money on take-out food each year, so I decided to do my part and cut back on my take-out spending! 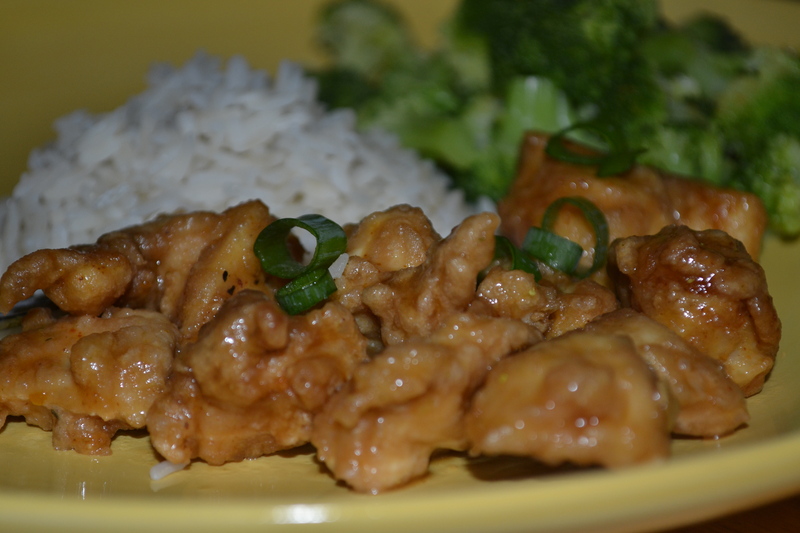 I recently made my very own General Tso’s Chicken! 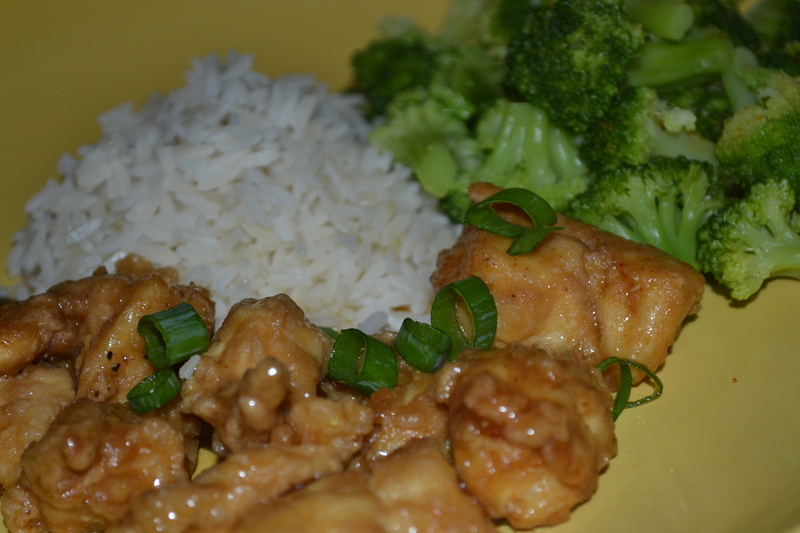 Well, it was more like General Diva’s Chicken, but the taste was pretty good! Why don’t you make your own and let me know what you think! Place sauce ingredients in a medium bowl and whisk until combined. Set aside until time to sauce the chicken. Mix the cornstarch slurry in a large bowl- the mixture is very strange but believe me, it works every time. Add chicken pieces to coat with the thick mixture. Using a fork or tongs, remove ONE chicken piece at a time and let the excess mixture drip off. Add the coated chicken pieces to the 350 degree oil and fry until crispy. Only cook a few pieces at a time. Drain on paper towels and keep warm. In a separate large skillet or even a wok, add a small amount of oil and heat to 400 degrees. You can fry all the chicken, drain the oil to the desired amount and use the same pan if you like. Add green onions and hot peppers and stir fry about 30 seconds. Stir sauce mixture, and then add to pan with onions and peppers, cook until thick. If it gets too thick, add a little water. The thickness of the sauce should be similar to what you get when ordering this at a restaurant. Add chicken to sauce in wok, and cook until all is hot and bubbly. The quicker this is done the crispier the chicken stays. Serve over rice with a side of broccoli and steamed whole green beans! Previous Post Is It a Slice of a Cinnamon Bun? No! It’s a Cinnamon Swirl Pancake!